The very first thing that got me interested in wine when I was seventeen was winemaking. After all, I was a science student. However, many years later, I came to a conclusion on my own that great wines were not made in the winery but in the vineyard. There is a saying that I learned back in Australia that you know the wines made are good if you know that the vineyard is littered with the winemakers’ footsteps. There is a similar saying here in Burgundy that to make good wines, the winemaker needs to walk in the vineyard thirty-six times (presumably he has to do this 3 times a month for each year). 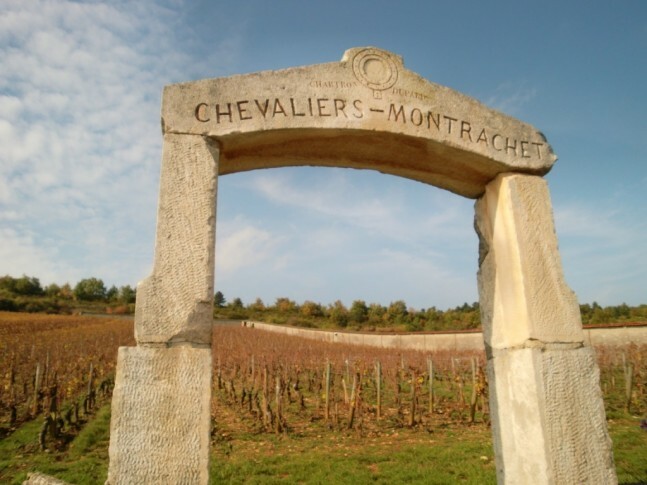 In Burgundy, there is no distinction between a winemaker and a grape grower. To the Burgundians, it all starts from the vineyard, which is why they take their vine practices very seriously. Most of the vines are planted with very high density, thus close spacings. The density is 10 000 to 13 000 vines/ha for most vineyards down the valley. Vine trellis heights are around 0.5 metre or most times, even less. There is a belief here that vines are creepers and thrive to get as high up as possible, leading to vegetative growth. A low-trellised vine is stressed so as to limit the energy of the vine from growing upwards and diverting its energy to the fruit and the root growth downwards. All vines in Burgundy are planted on American rootstock as the vines were affected by phylloxera in the late 19 century. In the Haut-Côte de Nuits and Haut-Côte de Beaune region, which has a higher elevation, the vine densities are lesser. This is about 3500 vines/ha and the trellis heights are around 1 metre. Vine spacings are 1 metre and row spacings are 2.5 metres. The reason for this is that there are more frost problems due to the elevation. The elevation here is about 350 metres above sea, about 150 metre higher than the floor. This may not seem like a lot compared to other countries like Argentina or certain parts of Australia, but it is sufficient to cause significant lower temperatures – sometimes 5 degrees Celsius less than the bottom of the slopes – that kill the buds of the vines. A higher vine height avoids the frost on the ground so that the buds go unharmed. Due to the higher vine height, the vine rows need to be further apart so that when the sun hits the vineyard, the shade of each row would not affect the other. In situations where vine heights do not work, fans are used to disperse frost. There are times when fire is used to warm the vines or water is used to give a protective covering over the vines. Frost has always been an issue in Burgundy. Vines have a tendency to climb higher if the ground is cold as they are scared of frost. Rainfall in the region is 700mm/year which is no small number. It is no surprise that they do not use irrigation here. Most of the vineyards in Burgundy are organically or bio-dynamically farmed, most times without certification. Weed-killers are also not permitted. The rows are planted with east-west plantings along the direction of the slope, which faces east or south-east. One of the reasons for this is to drain water down the slopes. Water is retained more if the rows were planted perpendicular to this direction as it does not create proper channels for the flow of water down the hill. With the water drained down the hill, the vines at the bottom of the slope on the flat floor absorb most of the water, affecting grape quality. This is why these vines produce grapes in the Regional and Village appellation and many of these grapes go to the Negociants. After showing me the landscape of the land, Elohim, my trusted guide from Alter&Go, took me to another winery for a tasting. “You know, people forget one of the most important things about Burgundy. That the grapes come from flowers. This is what Burgundy is about. It is about preserving the flowers in the wine,” he said. This is very true to me. Most of the best Burgundies I have tasted have the aromas of flowers in the nose. There are aromas in the glass of Pinot Noir that are so enticing that you could spend more time sniffing than drinking. His words proved to be true again in the next place we visited, which was Domaine Henri Naudin-Ferrand located in the Hautes-Côte de Beaune. A lovely nose of flowers. On the palate is herbs and leather. Still a little tight in there. A savoury and rustic nose. The palate is rustic with dark herb flavours. Still too young. Lovely aromas of orange peel. A feminine nose. So good with cheese and good balance between the acid, alcohol and flavour components. Long length with an orange tinge. To be considered an old vine, it has to be 30 years old. On the nose, that wonderful aroma of Pinot and complexity. A full-bodied wine, savoury and full of herbs. Pale white. Lemony nose of medium intensity. A medium length. Flavours of green-apple and a slightly oxidised nose. It is a leesy style like most Aligotés in the region. Lightly oaked nose. Green apples on the palate and good line of acid. Not fruity but more hazel nut like, typical of burgundy. Medium alcohol and a long length. Cedar finish. Walnut aromas. Med plus acid and more mineral on the nose. Again good line of acid and cedar on the palate. Long length. Taste like shellfish on the finish. Green apples with medium intensity. Good minerality on the palate. Straw and less flavours than 2008 Hauts-Côte de Nuits. Mineral and straw nose. Less concentrated than Nuits. Mineral and high acid on the palate. Flavours of green apple, but shorter length than 2008. Gamey nose and lifted spices. Spicy, peppery flavours with medium tannin, high alcohol and a short length. Spicy nose, aromas of rose, estery. Medium plus acid and medium alcohol. Long length. MLF flavours on the back. Flowers on the nose, a light cola aroma. On the palate is black tea, medium alcohol and med plus acid. Long length. Beautiful texture. Next in the series, we shall look more in-depth more about what the Burgundians do to care for their land. More tasting Notes and a very peculiar thing.